ONE / TWO FAMILY ACCOMODATION - 3 properties away from white sand dunes at picturesque NGUNGURU. The main house has two bedrooms – 1 king and 1 twin room, the self-contained studio unit has 1 queen - ideal for the grandparents to join the family . Roomy section with plenty of room to park the boat, with boat ramp nearby. Full kitchen and laundry facilities in the main house (and kitchenette in the unit),two bathrooms, fireplace, LCD TV and full linen supplied. Sunny section, relax on the covered deck or balcony and entertain by BBQ. 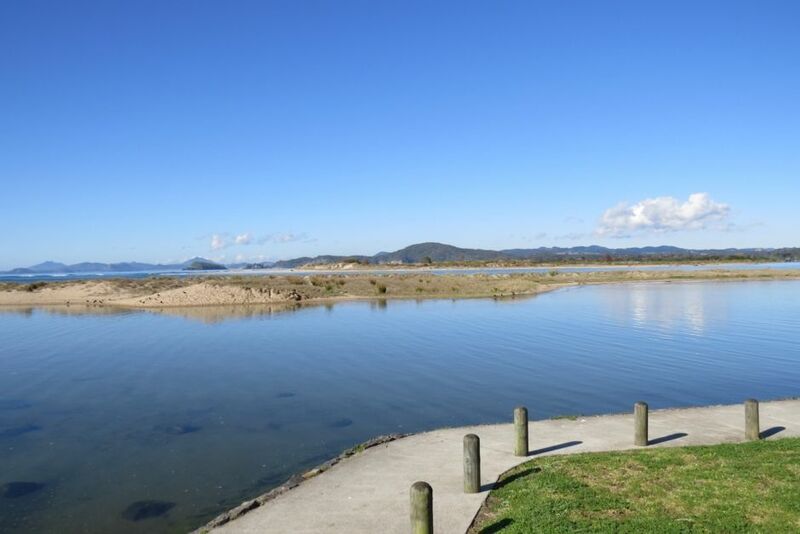 Beach swimming, pick tuatuas and pipis, swim over to the sandspit, walk around the beach to Wellington’s Bay at low tide! Find a supermarket, tennis court, cafe, doctors and gift shop all at Ngunguru Township within easy walking distance. Take a 5 minute drive to the Tutukaka Marina, the hub of the Tutukaka Coast where many fishing and diving charters are based, and find many other beautiful beaches along the Coast within in easy driving distance of Shell's Place. This is an excellent choice of holiday accommodation in a very pretty and popular coastal location! MINIMUM STAY OF 2 NIGHTS EXCEPT DURING PUBLIC HOLS WHEN THE MINIMUM STAY IS 3 NIGHTS, MIN STAY DECEMBER /JANUARY PERIOD 4 NIGHTS. Lovely, well kept, everything a family needs. A great place for a family, feels like home. A lovely, safe spot for our daughter to play. Owner/manager is a legend who helps you whenever you need it, and is great at communicating. Perfect location close to all the best beaches around Ngunguru, it had everything we needed for a home away from home, and had a real cool vibe to it. Upstairs apartment a real bonus for extra space. We very much enjoyed our stay at Shells Place, the bach had everything you needed, the location was fantastic, close to the water and the shops and cafes, and a perfect set up if you are travelling with grandparents who can stay in the second accommodation above the garage. Great location, property has all you need and the separate accomodation worked well for our family. Great location, property has all you need and the separate accomodation worked well for our family. Highly recommend this property, we will be making another booking for sure, many thanks. Easy to reach location, close to the beach.